The Springfield XD-S .45 ACP with Fiber Optic front sight is lightweight and compact, ideal for carry and concealment for self-defense purposes. The pistol grip has been enhanced and textured to increase confidence in the shooters grip. The XD-S slide is formed from billet design and the barrel is hammer-forged for enhanced accuracy and durability. The Springfield Ultra Safety Assurance Action Trigger System guards against accidental discharge by locking the trigger in place until direct rearward pressure is applied only by gripping the pistol grip, and the Loaded Chamber Indicator informs the shooter without a doubt the Condition of the firearm. To maintain accuracy and consistency, the trigger has been designed to minimize trigger pull and reset, which also increases ease of operation and manipulation. 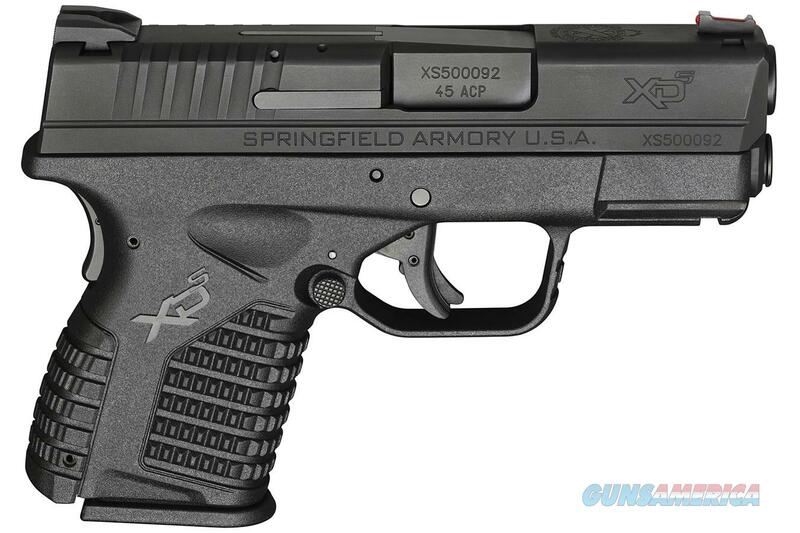 Combined with all these features, as well as Springfield Armory’s outstanding engineering and quality control techniques, shooters can be confident in choosing the XD-S as their valid source for self-protection and recreational shooting purposes.